Spacecraft are under construction, launch infrastructure is being modified and systems testing of all sorts is underway as NASA’s Commercial Crew Program works closely with Boeing and SpaceX to advance the new generation of American spacecraft designed to carry astronauts to the International Space Station from the United States. Boeing and SpaceX are building flight-like CST-100 Starliners and Crew Dragons, respectively, for evaluations prior to their flight test campaigns. Watch the testing, qualification and hardware buildup completed so far in 2016 in the video below toward the program’s goal of developing safe, reliable, cost-effective crew transportation systems. Misty Snopkowski has worked on human spaceflight initiatives since 2003, building up expertise with the Space Shuttle and International Space Station Programs and now standing on the precipice of the new era in human spaceflight with NASA’s Commercial Crew Program. 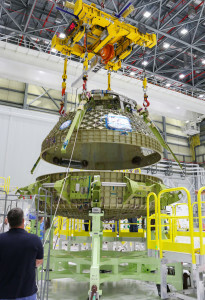 The first CST-100 Starliner hull stands in one piece inside Boeing’s Commercial Crew and Cargo Processing Facility at NASA’s Kennedy Space Center after engineers bolted together the upper and lower domes May 2 as completion nears of the Structural Test Article. 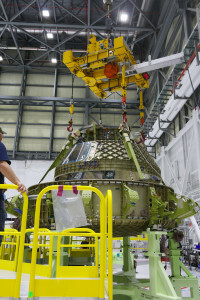 It is the first spacecraft to come together inside the former shuttle hangar since shuttle Discovery was moved out of the facility following its retirement and move to the Smithsonian’s Udvar-Hazy Center near Washington, D.C., in 2012. You can watch Boeing’s video about the spacecraft’s manufacturing here. Identical to the operational Starliners Boeing plans to build and fly in partnership with NASA’s Commercial Crew Program, the Structural Test Article is not meant to ever fly in space but rather to prove the manufacturing methods and overall ability of the spacecraft to handle the demands of spaceflight carrying astronauts to the International Space Station. Boeing is one of two contractors chosen by NASA to take astronauts to the station using American vehicles launching from U.S. soil. 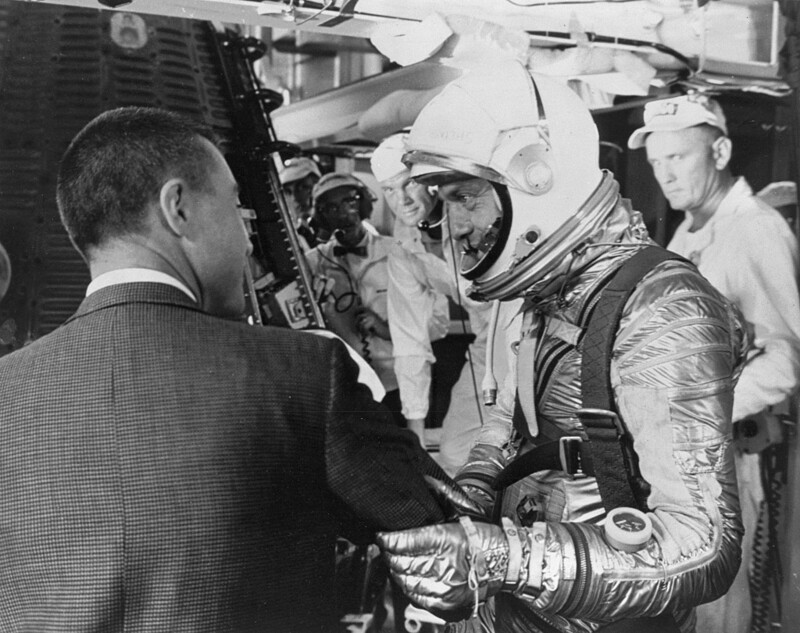 Tests with and without crew members will take flight before operational missions begin. The end result for NASA will be a larger space station resident crew and a doubling of scientific research time aboard the orbiting laboratory as scientists try to decipher the challenges of deep space exploration and provide enhancements for everyone on Earth. 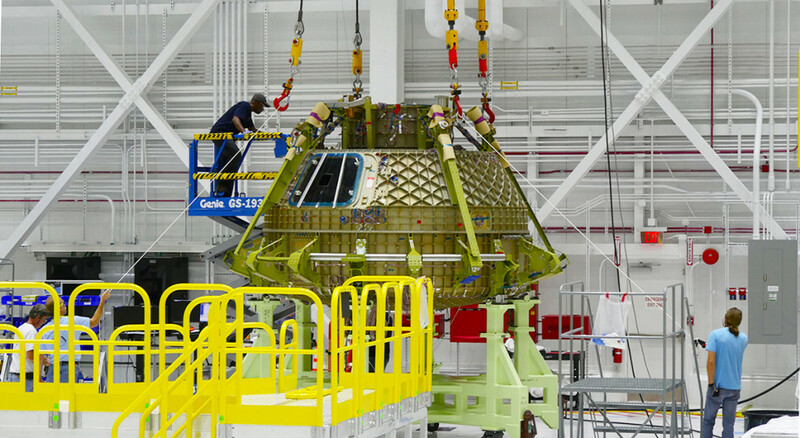 The Starliner structural test article will go through final outfitting before it is moved to Huntington Beach, California, where it will be subjected to loads and separation testing. 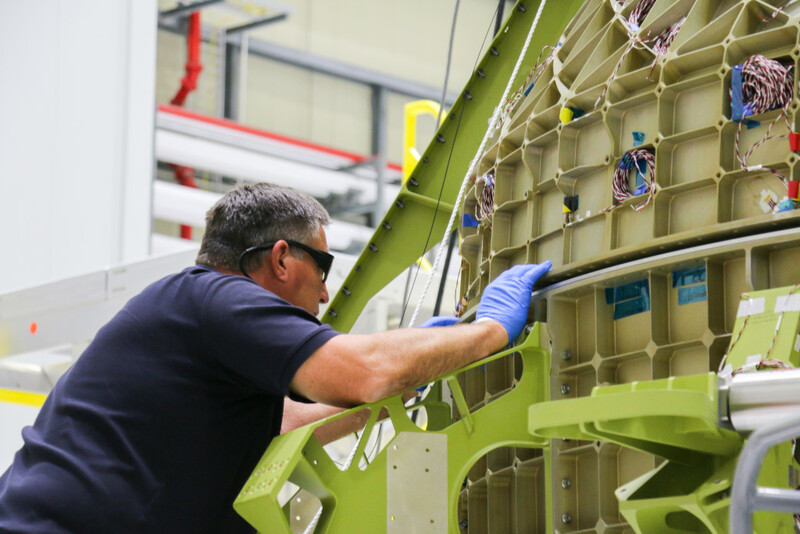 From there, the company expects to apply those lessons to the first flight test models of the Starliner, parts of which are already in the manufacturing flow in Florida. 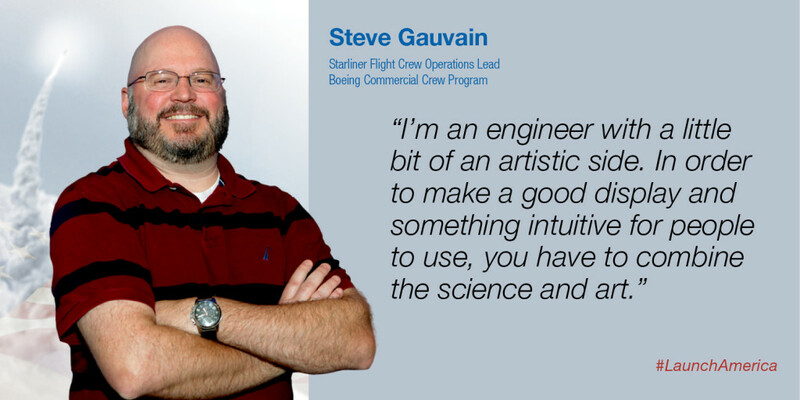 The building techniques used for Starliners are significantly different from those of past programs, Boeing said, and reflect a desire to ease manufacturing wherever possible. For instance, rather than build the pressure vessel and then outfit it with electrical and data cables, plumbing and other fittings, those elements are built into the top and bottom halves of the spacecraft. When the domes are joined, the cables and lines and pipes are already in place, saving engineers the time and frustration of having to move everything in through the small hatch and assemble parts together inside the closed hull. 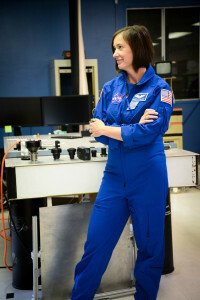 Veteran astronaut Megan McArthur toured two of the companies building components for Boeing’s CST-100 Starliner spacecraft recently and met with some of the employees who are designing and making sensors and circuit boards the spacecraft and its crews will rely on to steer precisely to the International Space Station. 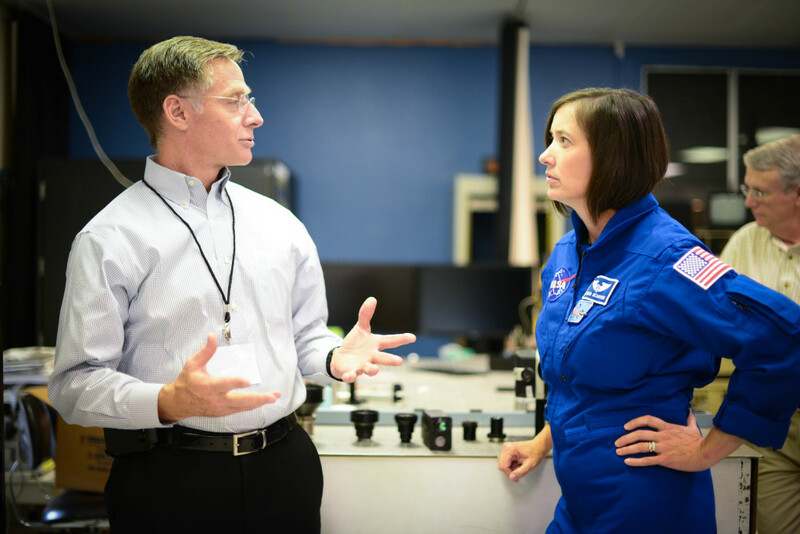 She was joined by Chris Ferguson, a former space shuttle commander who is now Boeing’s director of Crew and Mission Operations for Commercial Crew. Boeing is one of two companies under contract with NASA’s Commercial Crew Program to develop spacecraft systems to take astronauts to the space station. The missions will enhance research by increasing the number of crew members aboard the orbiting laboratory. 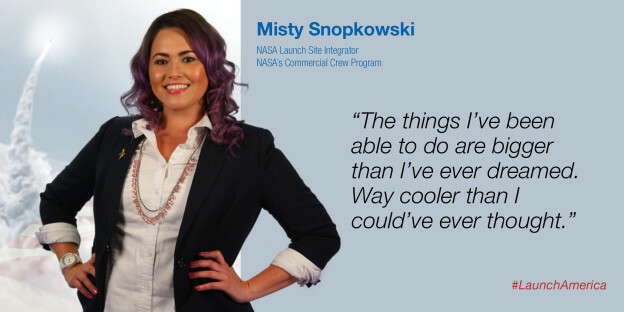 McArthur, who flew as a mission specialist on STS-125 and captured the Hubble Space Telescope with the shuttle’s robotic arm, visited Advanced Scientific Concepts in Santa Barbara, California, on April 7 where she surveyed the 3D Flash Light Detection and Ranging sensors the company is making. The LIDAR gear will let Starliner crews see the station in all conditions in space during a mission. 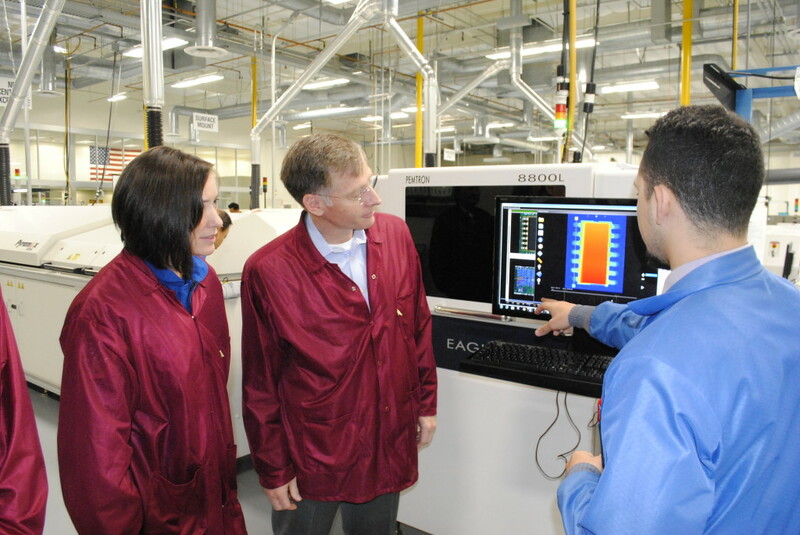 The next day, McArthur visited Qual-Pro Corp in Gardena, California, where engineers are making the circuit boards that will allow Starliner systems to communicate with each other. 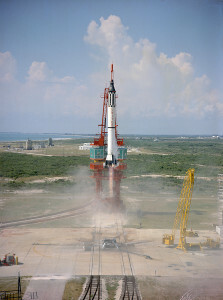 Astronaut Al Shepard, above with Gus Grissom, made history 55 years ago today as he launched in Freedom 7 atop a Mercury-Redstone rocket to become the first American in space. The rocket lofted Shepard using a 78,000-pound thrust engine, less powerful than the abort engine clusters in development by Boeing and SpaceX for NASA’s Commercial Crew Program spacecraft. 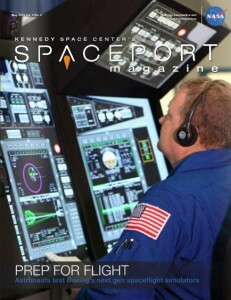 If you have not already, be sure to check out the May edition of Kennedy Space Center’s Spaceport Magazine. 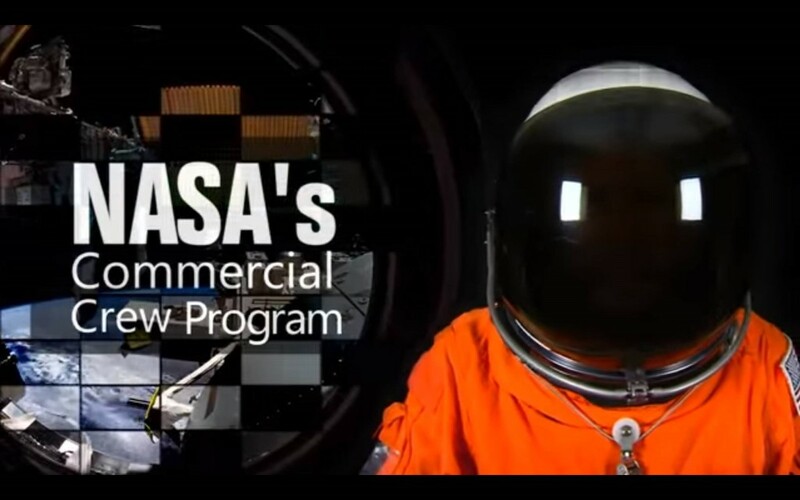 It features several Commercial Crew Program stories and numerous awe-inspiring NASA programs and projects. 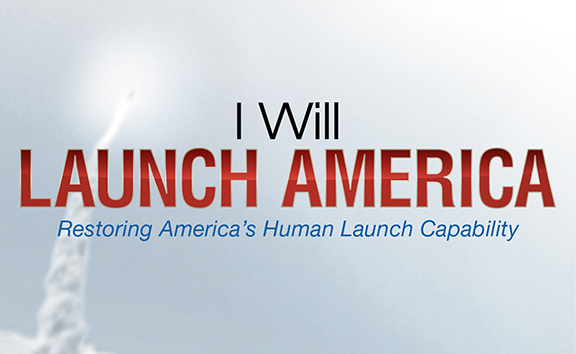 Read it now, at http://go.nasa.gov/1NPNcs6.